On the gaming world’s biggest stage Entwined was born to high expectations. The short presentation during Sony’s press conference introduced the title as the first game from a group of recent college grads, a new Sony studio called Pixelopus. The short gameplay segment shown featured flowing audio and striking visuals, immediately recognizable as the barrel gameplay from games of old. The short presentation ended with the announcement that it was on sale, right then, to Playstation 4 owners. The abrupt announce and sell strategy of Entwined may seem a bit shady to some, but after playing through the game I can assure you there is nothing to worry about. 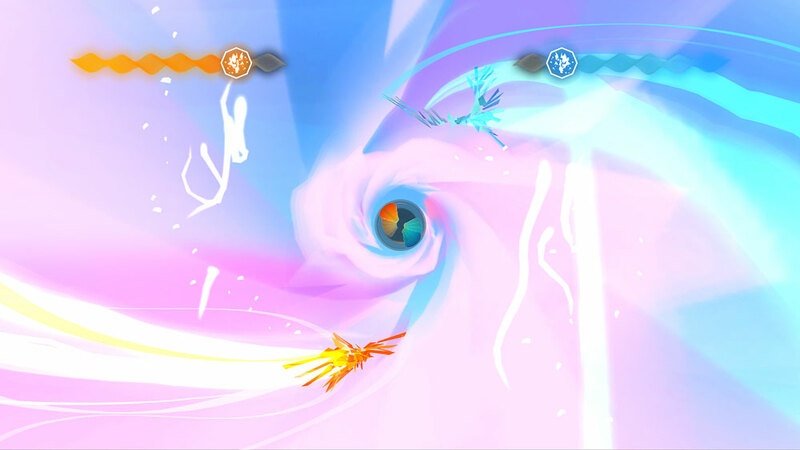 In short, Entwined complicates one of the classic gameplay types so intuitively that it remains interesting for an entire game. The music is paced and varied, with the best tracks earning a place in your memory. The visuals are great for the same reason music visualizers are, they manage to match the speed, music and gameplay in a way that’s beautiful without being in the way. As the game culminates, the difficulty can become off-putting, until you overcome the challenge and it is appreciated for it’s purpose. The game comes across as a good freshmen effort that promises greatness in thee years to come. The gameplay evolves and challenges you through each of the game’s nine section’s or ‘lifetimes’. Beginning simply, every few seconds players align two characters, each controlled with an analog stick, against a grid they can pass through (Check the gameplay below to see this in action). Each character, a blue bird and orange fish, is stuck in the right and left hemisphere’s respectively. The movement allows for small twists to the base gameplay, for example as the two get closer they become green and are able to pass through green spaces. While this may sound simple and even be simple for the first two or three lifetimes, the difficulty and complexity of each level increases dramatically. The level design is smart, with one level requiring the two characters to always occupy opposite sides and the next required no synchronization at all. This building and twisting of expectations builds throughout the game and makes the real challenge of hand-eye coordination all the more difficult. As to the story, the gameplay and objectives lend themselves to a tale of connection and reliability. Many subtle messages are sent through minute actions, such as the two characters relying on each other for success and the relationship between the players movement. The undertones of relationship can be ignored for other facets as well, whether the soon to be beloved soundtrack or the elegantly stylized visuals. 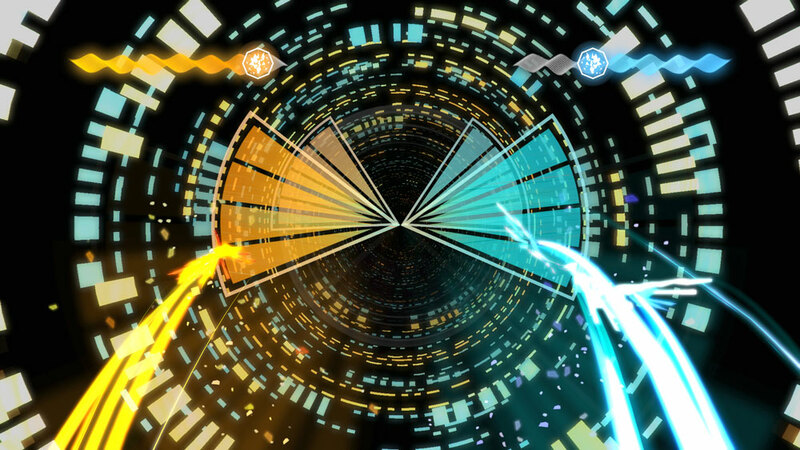 Entwined’s soaring soundtrack makes good use of quiet melodies and driving hooks, more than once pairing with vista’s for truly chilling set-pieces. The visual design changed slightly with each passing lifetime along with the music, making this one sharper, this one electric and that one airy. The best part in the game happened toward the end as all the past aesthetics’s and music blended for the last level. Halfway through the game I expected the collage, but that didn’t decrease the inexplicable happiness I felt seeing all the little bits and pieces brought together underneath the games best track. The culmination wowed me in contrast to previous levels which I enjoyed, but didn’t love. 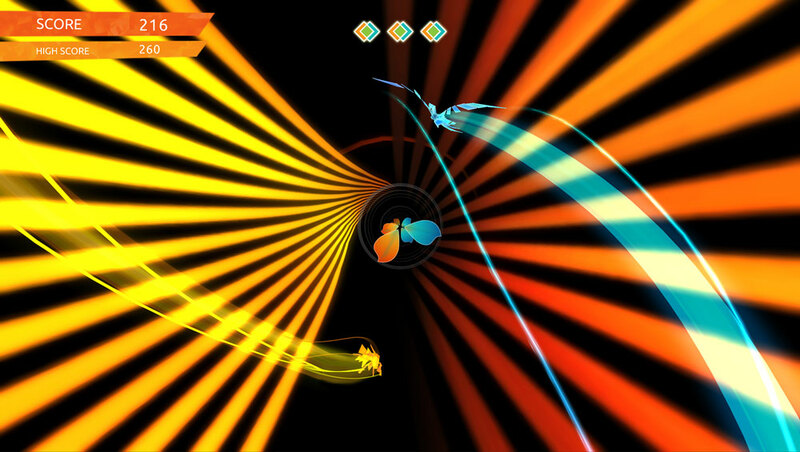 The problem with Entwined is the problem of many indie titles. Difficulty is to blame for the only real unpleasantness found within Entwined. While the game is by no means ‘hard’, the punishment dealt out during later levels serves only to distract and frustrate the overall calming experience. In the moment it feels so out of place, being mad at this game that has thus far has only projected joy and peacefulness. Disconnecting from the characters you have come to endear, while remembering that this is a video game that you can loose, can be disheartening to say the least. 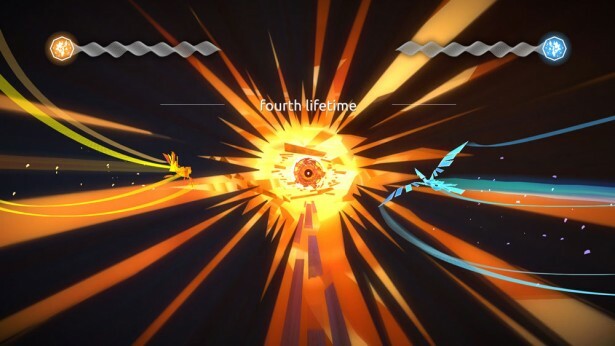 Entwined manages to alleviate some of the irritation by making players feel triumphant over the difficulty through the stellar music, but for some, the frustration may be too much to get past. 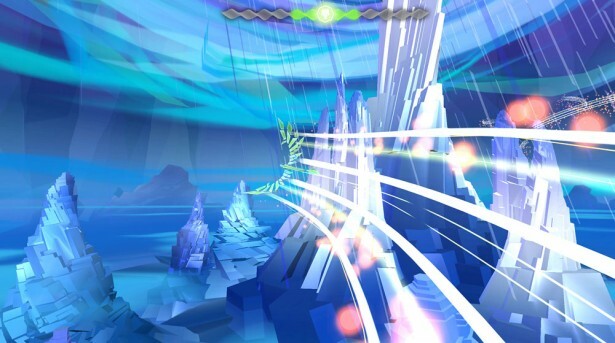 Entwined provides a good experience all around with standout looks and sounds that will leave a player entranced. The game is a bit short at only 2-5 hours, and the difficulty is problematic for some. Overall, I thoroughly appreciated the atmosphere, enjoyed the distinctive gameplay and reveled in a completed challenge. Entwined carries on the mood, individuality and aspirations of games like Journey and The Unfinished Swan with the same gumption and less polish.